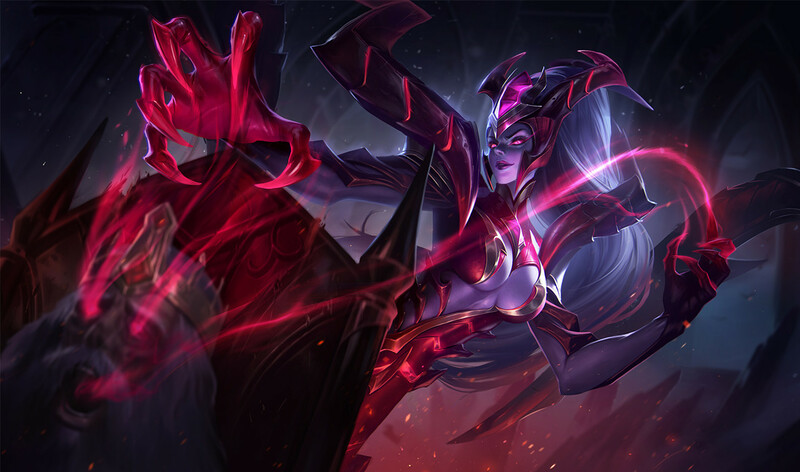 Marja Item Builds Guide for Arena of Valor (AoV). Each build is geared toward a different play style, so choose one that fits your personal preference. 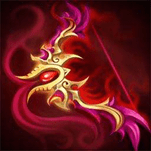 These items are necessary in order to play Marja optimally. Only diverge from a core item if you are a very experienced player or you have a very good reason for doing so. Frosty’s Revenge Frosty’s Revenge provides an additional slow to Marja’s abilities, giving her some additional utility and controlling power. Without much natural control, the added ability to slow will make Marja a much more valuable asset to her team. Berith’s Agony A nice hybrid item that additionally tears away at heroes who stack health. Marja’s free abilities allow her to spam them regularly and thereby regularly whittle away at her target’s HP. The Aegis While she does not benefit from the mana that The Aegis provides, she can get a lot from it all the same. It offers a large amount of cooldown reduction, allowing her much more regular use of her abilities. In addition, the armor and attack speed reducing passive are excellent tools in protecting from physical enemies, particularly marksmen. Rhea’s Blessing Rhea’s Blessing will improve Marja’s regeneration and allow her to draw very respectable amounts of health from enemies with her abilities. The item additionally improves her defenses, offering up a shield whenever her health falls under 40%. This can be exceptionally useful to Marja, giving her a bit of extra time to pop Ghostwalk and either flee or finish the fight in safety. Orb of the Magi Again, Orb can be seen as a bit odd due to her not benefitting from the mana gains that this provides, but the remaining stats are all extremely useful to Marja. Health, ability power, and cooldown reduction all great ways to improve to her damage output and survivability. In addition, the health that the orb restores each level will amplify her already impressive sustain and make her even more difficult to shake from the lane. Gaia’s Standard Gaia’s Standard protects Marja from enemy mages, offering health and magic resistance. Additionally, the item will offer even further regeneration to the mage, healing her each time she takes damage. The movement speed will also make Marja even better at kiting or chasing enemies when paired with her slows. Hecate’s Diadem While not offering much in terms of control or utility, Hecate’s Diadem is a huge source of ability power. Not only does it have a large base pool of ability power, it amplifies the amount gained through other items. This is primarily bought when going for a pure mage build, as the passive isn’t well utilized alongside defensive items. Frost Cape A great way at adding to Marja’s control, Frost Cape is primarily taken for its incredible passive. Given Marja’s already low cooldowns and the cooldown reduction that Frost Cape provides, she will be able to cast her abilities rather regularly and thereby find a lot of mileage in the ability-activated passive. Hyoga’s Edge Another way to improve Marja’s slows is to grab Hyoga’s Edge. It doesn’t provide cooldown reduction or an Area of Effect slow like Frost Cape, but offers higher amounts of defense and a movement speed boost to the wielder. Soaring Aura Marja will generally be attacking enemies that are fairly close to her due to the limited range of Soul Devourer. As such, she will be able to regularly affect her enemies with Soaring Aura and boost her damage with the magic pierce it offers. The item additionally provides health, something that the durable Marja always appreciates. Mail of Pain Take Mail of Pain whenever physical heroes like marksmen or warriors are dominating the match. The item reflects their physical damage back at them, making them either easier to kill in fights or less likely to target the wearer at all. Medallion of Troy This is the best option when wanting protection from magic damage above all else. It offers large amounts of health and magic defense along with a shield that absorbs magic damage. The Medallion additionally offers cooldown reduction, particularly useful on mana-less heroes like Marja. Amulet of Longevity Given her large amounts of regeneration, Amulet of Longevity can take everything to the next level. Not only does it offer some additional regeneration, it amplifies all other sources of healing as well, be they from Shadow Leech or other items that Marja has purchased. If that wasn’t enough, the item also grants more HP than any other single item. Holy of Holies Despite lacking a passive effect, Holy of Holies brings both of Marja’s favorite things, magical strength, and durability, in one place in large amounts. The item is rather expensive, though, so is best saved for the end of a build. Enchanted Kicks An aggressive option, Enchanted Kicks will improve Marja’s damage by allowing her to cut through the enemy magic defense. Gilded Greaves Generally the best option when looking for a defensive set of boots, Gilded Greaves lowers the amount of time that the wearer spends affected by control abilities. This will help Marja slip out of fights or keep up with targets she’s trying to chase. Sonic Boots Sonic Boots is great when wanting to stave off physical damage. They are particularly effective against enemies who rely heavily on normal attacks, the damage reduction the boots offer extending to any damage enhancements the enemy might have for their normal effects. A durable build with some magic power thrown in for damage. This build offers a lot of chasing power, Frosty’s Revenge and Gaia’s Standard improving her movement speed while Frosty’s Revenge additionally slows enemies. She gets a lot of survivability through the items here, each offering some sort of defensive stat or ability. Her regeneration, in particular, is rather buffed here, Gaia’s Standard and Amulet of Longevity both granting her additional ways to restore life. Be careful, though, as she will be rather weak to items like Curse of Death and Tome of the Reaper. While Marja’s abilities don’t scale particularly well, more damage means more regeneration for Marja. Additionally, Marja plays more like a warrior than as a burst mage. Each one of the items provides some sort of defensive stat along with its ability power as well, keeping Marja nice and durable. She still hits a rather high amount of cooldown reduction with this build, allowing her regular damage and regeneration through her skills. Marja’s passive and ultimate allow her to function as a marksman – in fact, the way the healing formula works, getting a critical hit provides more than double the heal of a regular hit, and substantially more than building her with ability power. The slow of Shadow Leech makes her excellent at kiting, this accentuated by the inclusion of Hyoga’s Edge. Claves Sancti and Bow of Slaughter give her a respectable amount of critical chance as well as Bow of Slaughter’s powerful active ability. This is particularly useful to Marja, she able to safely refill her life while untargetable through Ghostwalk. Fenrir’s Tooth caps off the build by offering a large amount of damage and finishing potential. In this mm build of marja, do we got to change arcana to mm arcana?